Well, I’ll start with that genre category, women’s fiction. Why? I so hate that we alienate men from stories that they could well enjoy, splitting books into Women’s and Men’s is so dated, harks back to the fifties or so and has no place in literacy today. Well, that’s my take. Anyway, to the book. 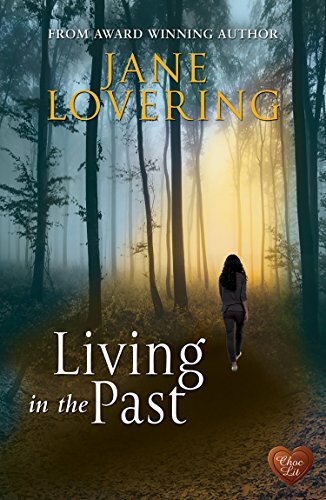 I love Jane Lovering’s stories, find ChocLit delivers books I almost always love, and this one was another perfect read. A story that’s got that bit extra, not a cut and paste romance but one where there’s a fascinating story line running through. I’m kind of open minded about time travel, just because we don’t understand it, if its possible, doesn’t mean it isn’t. After all years back what’s common place now was thought impossible, but science and technology brings leaping progress in what was thought impossible. I think of it as sort of parallel worlds, existing at the same time and maybe parts are thinner, maybe its some bloodlines, maybe time of year etc that allow people to pass through. I love Grace, she’s been a widow for two years, and talks still to Jamie. I talk daily to my late husband to, so her feelings resonated with me. She has some great friends and they have been a solid support and as part of that Grace gets dragged off on an archaeology dig. Duncan, the dig leader is a terrific character. He appears abrupt, abrasive and grumpy, yet his colleagues and students follow him avidly, knowing he’s very skilled at his career. This dig is personal for him though, and through it Grace discovers some of why he appears so unapproachable. I so felt for him, what an awful thing to happen, and the repercussions have shadowed his whole life. Its kind of not hard to see where the story goes, but that didn’t matter, its delivered in such a fascinating way. I really felt there with Grace, out in the mud of the 21st century with the dig, and then back with Lady Hen. I love the way the two stories worked seamlessly, how they fitted together, and how we gained insights of the characters, saw how events can shape us. Life happens and we react to it, and what happens to us affects us as people. Stars:Five, another great read from Jane, one I was really absorbed in and enjoyed thoroughly.